The following homeopathic remedies can help you treat acute allergic symptoms. However, for lasting relief, constitutional homeopathic care is needed to build a strong immune system throughout the year. ALLIUM CEPA: This remedy is indicated when the nose runs like a tap! There is watery, burning discharge from the nose that causes redness under the nose. Frequent sneezing and watery eyes that are sore and burn. 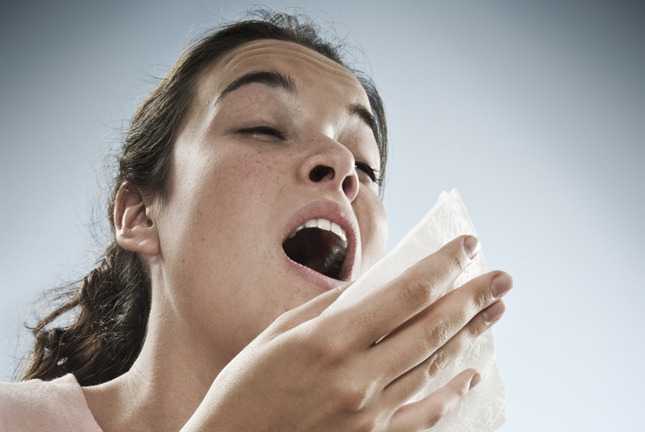 The sneezing may be brought on when walking into a warm room. You may experience a dull head ache, a cough from a tickle in the larynx and hoarseness all which improve in open air and worse in a warm room. EUPHRASIA: This remedy is all about the eyes! The eyes will water, swell, burn and are sensitive to light. The discharge is irritable to the skin but will have a bland nasal discharge. The person may be worse in the evening, indoors, from warmth and from light. They may be better in the dark. They may have the sensation of sand in the eyes. The symptoms may be relieved when in the open air. This remedy can also be found in eye drop solutions. SABIDILLA: This remedy is all about the sneeze! There are frequent and sudden bursts of sneezing with an itchy nose and red watery eyes. They may feel an urge to swallow frequently. A profuse watery discharge from the nose which is worse from the odour of flowers. Oversensitive to odours. They are worse from cold air. WYETHIA: When symptoms include intense itching of the back of the mouth or behind the nose. AMBROSIA: Hay fever with itching, watery eyes. It’s can be an intolerable itch. A stuffed up feeling in the nose and head with watery mucous with or without frequent sneezing. They may have severe allergies to ragweed. NUX VOMICA: For hay fever that is characterized by a stuffy nose, especially at night and outdoors. There are frequent or sudden bursts of sneezing from an intense itching in the nose and an acrid nasal discharge in the daytime. They will feel better when the discharges can flow freely. As always, for the best result using homeopathic remedies be sure to see a registered homeopath who practices classical homeopathy.